Eufy has had a lock on our "best budget robot vacuum" pick for a while—first with the RoboVac 11, and then with the upgraded RoboVac 11s. So we wondered if the RoboVac 30 would make for a hat trick. Ultimately, we found that while it cleans as well as either of those models, and that it adds a little extra to the package, the RoboVac 30 doesn't deliver enough value to justify its higher price. The RoboVac 30 is a kissing cousin of the RoboVac 11s. They have the same 12.8-by-12.8-by-2.85-inch slim profile, 0.6-liter dustbin, and roughly the same weight. On the underside, both also employ a roller brush, a pair of spin brushes, a swivel wheel, and two treads to clean and move around. They even use an identical remote control The only visual cue that these are two different models is the series of U-shaped pinstripes on the RoboVac 30’s scratch-proof glass top, which gives it a marginally sleeker look. 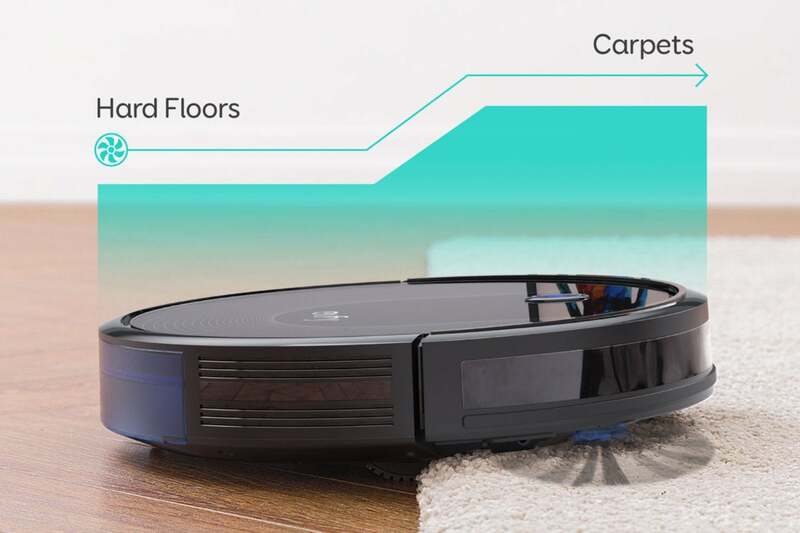 The RoboVac 30 does have a couple of advantages over the 11s: It comes with a 13-foot magnetic boundary strip you can use to demarcate no-go zones, which the RoboVac 30’s sensors will detect and avoid crossing. It also amps up the suction to 1500Pa over the 11s’s 1300Pa. In Auto mode, the RoboVac 30 will adjust its suction to better clean concentrated dirt. Setting up the RoboVac 30 for the first time follows more or less the same process as other Eufy robot vacuums we’ve tested. You first snap two of the four supplied spin brushes onto the bottom of the RoboVac. Next, you plug in the dock and set the vacuum on its charging pins. The only extra step here is placing the boundary strips if you’re going to use them. You can cut the 13-foot strip into smaller lengths, as I did, with household scissors to suit your needs. You then just tape them flat on the floor. I used two to cordon off a couple of power strips so the vacuum wouldn't get tangled in the cords. You can activate several cleaning modes from the remote. Single Room mode intensively cleans a confined area—one where you can shut the door—for 30 minutes before returning the vacuum to its dock. Edge mode reduces the vacuum’s speed when it detects a wall, and then prompts it to clean along the baseboard for 20 minutes. Spot Cleaning mode is for use on concentrated dirt and cleans in a spiral for two minutes. You can also navigate the vacuum manually using the directional buttons on the remote. The RoboVac 30 smoothly transitions different floor surfaces. Each of the modes has its uses, but Auto mode is ideal for everyday maintenance cleaning, as it automatically switches to different modes as needed. It can be activated from the remote or from the dedicated Auto button on top of the vacuum. It was the method I used in most of my testing. Overall, the Robotic 30 did an excellent job of keeping my 400-square-foot downstairs living area tidy. Navigating only by its onboard sensors, it ping-ponged around the room, changing direction when it’s bumper gently came into contact with a chair leg or other furniture. It was able to move smoothly between different floor surfaces—carpet, hardwood, and linoleum—without getting hung up on the transition strips between them. And its low profile allowed it to slip easily under the couch and cabinets. 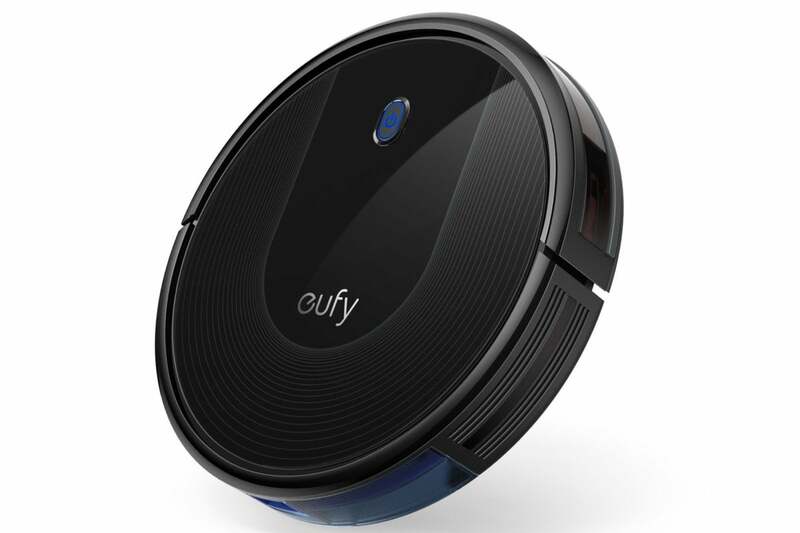 Eufy rates the vacuum’s battery life at about 100 minutes on a full charge. 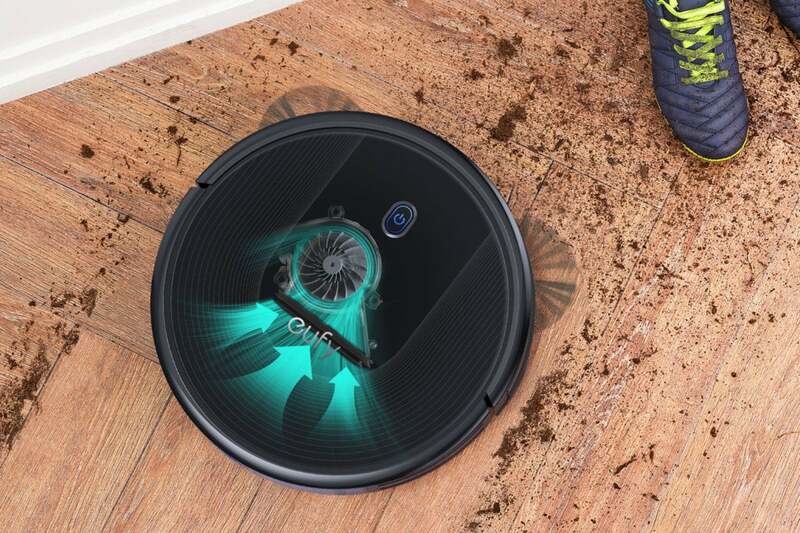 That bore out in my tests and was more than enough for the RoboVac 30 to grade every bit of dirt, clump of pet hair, and stray scrap of paper littering my floors. Compared, to the 11s, I can’t say for certain I noticed a difference from the extra suction, but it left every area it touched spotless, which is really all that matters. While the RoboVac 30 is quiet enough to use when you’re home, it’s nice to be able to schedule it to take care of business when you’re at work or otherwise away. But as you’d expect on a budget-priced model, options are limited to once-daily cleanings at the same time each day. Customized scheduling is more in the realm of smartphone-enabled robot vacuums. The RoboVac 30 delivered a strong performance for a budget-priced robot vacuum cleaner, but we didn't find it fully justified its higher price tag compared to our current top pick in that category: The RoboVac 11S. Unless you find the boundary strips and the promise of increased suction to be absolute must-have features, stick with the less-expensive model. The RoboVac 30 is an excellent robot vacuum for first-timers and those with smaller budgets. Doesn't deliver enough extras to earn a higher recommendation than the cheaper RoboVac 11s.